The 46-year-old who was convicted of kidnapping was recaptured at a Texas motel two days later. Jimmy Causey was arrested by the Texas Department of Public Safety at around 3am yesterday. A SOUTH CAROLINA inmate broke out of a maximum-security prison using wire cutters apparently flown in by drone, officials have said, describing a new and hard-to-stop means of escape. 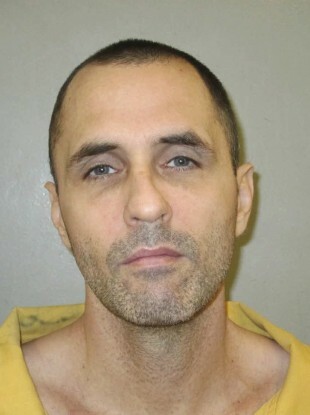 Convicted kidnapper Jimmy Causey, aged 46, was recaptured at a Texas motel more than two days after bolting to freedom in a plot worthy of a Hollywood script. It was the second time in 12 years that he escaped. This time, he used a smuggled-in phone to coordinate the delivery of the breakout tools, investigators said. Then, with dusk approaching on the Fourth of July, he cut through four fences and left a dummy in his bed that fooled his guards. He got an 18-hour head start. When he was caught, he had about $47,000 in cash, an ID card and two guns, authorities said. “We believe a drone was used to fly in the tools that allowed him to escape,” South Carolina Corrections Director Bryan Stirling said. He said investigators were still trying to confirm that, and he didn’t elaborate on why they believe a drone was involved. Kevin Tamez, a 30-year law enforcement veteran who consults on prison security as managing partner of the New Jersey-based MPM Group, said he wasn’t aware of any other US prison escapes aided by drones. Stirling said the state is spending millions to install netting at prisons to prevent people from throwing things over, but confessed that won’t stop drones. A tip led Texas Rangers to a motel room in Austin where Causey was found sleeping around 4am yesterday, authorities said. Texas officials released a photo of a handgun, shotgun, four cellphones and stacks of cash found with Causey about 1,900 kilometers from the Lieber Correctional Institution prison near Charleston. Prison officials are investigating how his 8pm disappearance Tuesday went unnoticed until 2pm the next day. “Everyone who assisted him — we intend on bringing them to justice as well,” State Law Enforcement Division Chief Mark Keel said. Later yesterday, Corrections officials said one Lieber employee had been fired in connection with Causey’s disappearance, providing no other details. Drones have been used to deliver contraband such as drugs and cellphones to prisons across the US, including two cases in recent years from South Carolina. In May, two men were arrested for trying to fly knives, marijuana and phones into a medium-security state prison. Another man is serving a 15-year sentence after officials found a crashed drone outside a maximum-security institution in 2014. Authorities in the UK said two inmates there escaped from prison last year by cutting through window bars using a saw and wire cutters that were believed to have been flown in via drone. Email “Man breaks out of high-security prison using wire cutters and a drone”. Feedback on “Man breaks out of high-security prison using wire cutters and a drone”.